This week has only one new release, but 3 releases filled with all sorts of goodies. Reviews for most of these titles will be available here on the Zone early next week. (2005) (Universal) Dir: Steven Spielberg; Eric Bana, Daniel Craig, Ciaran Hinds, Mathieu Kassovitz, Hanns Zischler, Ayelet Zurer, Geoffrey Rush. In single-disc and two-disc collector’s editions. Spielberg’s Oscar-nominated film about the after-math of the 1972 Munich killing of Israeli athletes. I will hopefully be reviewing this in a few days. I say hopefully because my copy has not yet arrived. I will take a moment to say I thought it was good, but not as good as some of Spielberg’s previous films. Perhaps my expectations were too high. It does take a very good look at what certainly is morally ambiguous subject matter. 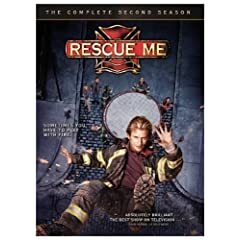 (Sony)Three-disc set with 13 episodes, $49.95. (Sony)Dir. 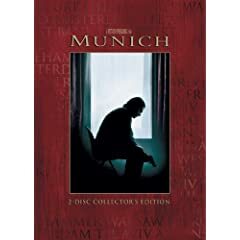 : John Frankenheimer; Robert De Niro, Jean Reno, Natascha McElhone, Stellan Skarsgard, Sean Bean, Skipp Sudduth, Michael Lonsdale, Jonathan Pryce. Two-disc set. Extras: Commentary by Frankenheimer; alternate ending; featurettes: “In the Cutting Room With (editor) Tony Gibbs,” “Ronin: Filming in the Fast Lane,” “Natascha McElhone: An Actor’s Process,” “The Driving of Ronin,” “Composing the Ronin Score,” “Through The Lens” with director of photography Robert Fraisse, “Venice Interviews” 1998 film festival interviews with Robert De Niro, Jean Reno and Natasha McElhone; animated photo gallery. A very under-rated thriller by one of the great directors. This film found John Frankenheimer back in outstanding form. Frankenheimer was supposed to direct the big screen adaption of Elmore Leonard’s Killshot before he died. Zoë Sharp’s review is in issue 12 of Crimespree and will be available on the Crimespree Magazine Reviews very soon. (1972) (Fox)Dir. : Ronald Neame; Gene Hackman, Ernest Borgnine, Red Buttons, Carol Lynley, Roddy McDowall, Stella Stevens, Shelley Winters, Jack Albertson, Pamela Sue Martin, Arthur O’Connell. Extras: Commentary by director Ronald Neame, Pamela Sue Martin, Stella Stevens and Carol Lynley; “Follow the Escape” interactive featurette; 10 featurettes; three storyboard comparisons; original 1972 featurette; original teasers and trailers; American Cinematographer interactive article; still galleries of marketing and publicity materials. 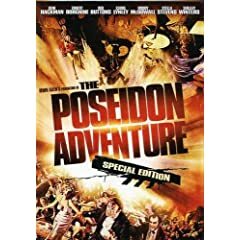 Rereleased to coincide with the theatrical release of Poseidon, this is the original. If you are thinking of catching the new one, do yourself a favor and check this out as well. Ruth Jordan will be giving us a closer look at this package. (1974) $19.98(Fox) Dir. : John Guillermin, Irwin Allen; Steve McQueen, Paul Newman, William Holden, Faye Dunaway, Fred Astaire, Susan Blakely, Richard Chamberlain, Jennifer Jones, O.J. Simpson, Robert Vaughn, Robert Wagner. 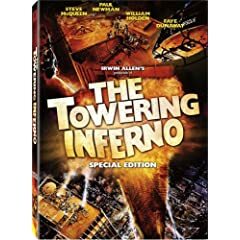 The Towering Inferno”; 19 extended and deleted scenes. Talk about a loaded cast, some of the all time greats…and not so greats. Perhaps the most memorable of the 1970s disaster movies. Ronin is such a fun movie. The cast was great. Lots of wonderful action scenes, and it still requires a bit of thinking. Ronin is amazing. A clever film. I will have a review of the special features within a couple of days. 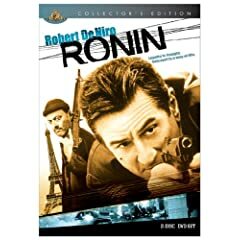 Ronin is probably one onf my favorite movies of all time. This is one of the few movies that although I already own, I would but the double-dip collectors edition.